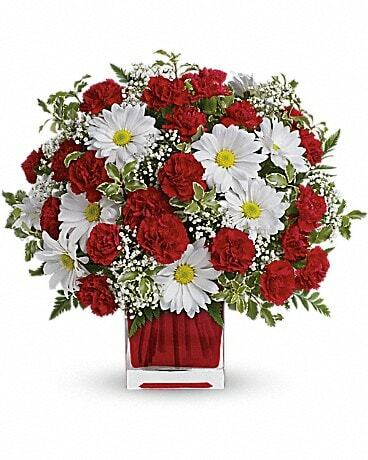 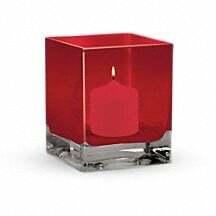 This charming red and white floral arrangement is designed in a glass cube vase. 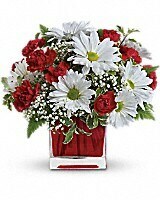 It's a gift that will surely delight anyone. 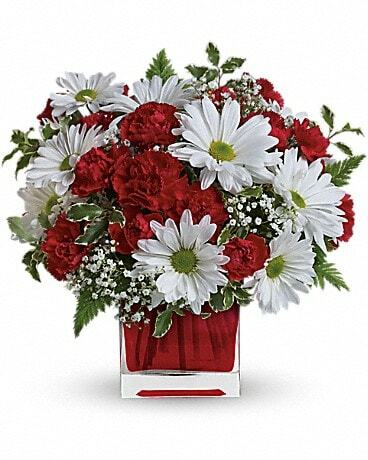 Flowers such as miniature red carnations and white daisy chrysanthemums, accented with fresh greenery are delivered in a glass cube.